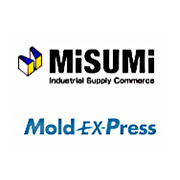 MISUMI, established from 1963 in Tokyo, is a worldwide company which is well known for providing fixed and configurable components for the manufacturing industry. From ZW3D 2018, the MISUMI plastic mold and press die standard part library would be integrated as a third-party application. Open ZW3D. Click the MISUMI icon in the APP tab. It will link to the official website of MISUMI. Then Click “Request a Free installation DVD”. 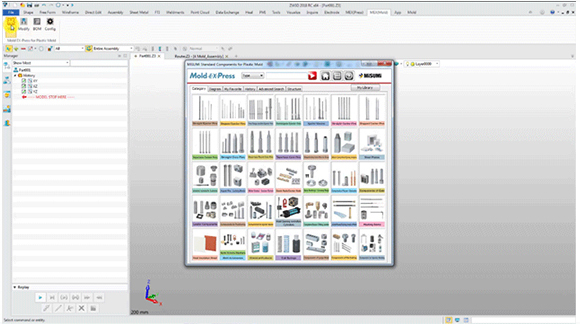 After installation, you can easily use it in ZW3D. With the introduction of MISUMI Mold Ex-Press, modeling standard parts could reduce design time by up to 50% and improve the quality greatly.